This is a trekking group shaped with friendship and nature love. 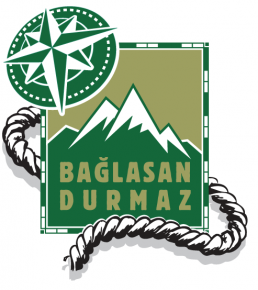 Every weekend “Bağlasan Durmaz” makes hiking, trekking and traveling events beside some national and international trips. You can visit the web site and share the moments. Aim of this project is to contribute to the mental and physical development of the children who are loosing their survival skills because of the recent technologic developments and necessities of contemporary life, and develop their awareness regarding the importance of forests. Target audience of this project includes primary school students (1st to 5th grades), primary school teachers and parents selected among the volunteer participants. Today, television, computers and shopping centers became the major playgrounds for children. Rapidly changing life styles and life conditions are effecting children mostly in a negative way. Among these negative outcomes, health related issues like obesity and cholesterol, emotional dissatisfaction, anger, hyperactivity, ADD (Attention Deficit Disorder), weakening social relations and even depression are endangering children’s social and physical lives. Nine field activities were planned to increase the understanding of the need for nature at family and child level. It is aimed to teach children how mankind needs forests and nature, necessity to protect forests and respect to nature. Participants will understand the meaning of forests, their environment and their role in the ecosystem. Thus, the participants will understand the perfect balance and working of the nature.